I’ve always been a big fan of tuna as a quick and easy lunch. Usually, on an average day, my go-to lunch tends to be leftovers, but if those aren’t available, out comes the cans of tuna. It’s one of those things I always like to have stocked in the cupboard since it’s non-perishable and so easy! Just open the can, mix with desired add-ins and throw it on a sandwich, wrap, or salad. Doesn’t get much easier than that! Now usually the biggest issue is how to flavour up the tuna. Because, let’s face it. Tuna doesn’t taste that amazing on its own. In our house we don’t tend to buy mayo because I’m not a big fan of the processed ingredients and it has a tendency to upset my husband’s stomach, so we usually just avoid it altogether. Every once in a while though, we crave a creamy based sauce or spread that can be used if a recipe calls for mayo. Several months ago, I was playing around with recipes and discovered this cashew cream sauce which I’ve basically been using on EVERYTHING that requires a cream-based sauce. And it’s not like one of those cream sauces where you have to hover over the stove and wait for it to boil and whisk the heck out of it until it thickens up. You simply blend all of the ingredients together and out comes this creamy and flavourful sauce. It’s SO easy. Several weeks ago, I just so happened to have some of this leftover cashew sauce that I had whipped up in my magic bullet for this Creamy Dairy-Free Salmon Florentine recipe and it was just sitting in the fridge waiting for me to find something brilliant to mix it with. Due to lack of leftovers, it also happened to be a tuna day. Then BAM. It hit me. Why not mix it in with tuna as a mayo replacement?! Serious brain wave guys. I had an epiphany. Call me crazy, but I was actually really excited to try out this concoction because if you’ve ever tried mixing anything with a cashew-based sauce, you know that it’s usually a winner. 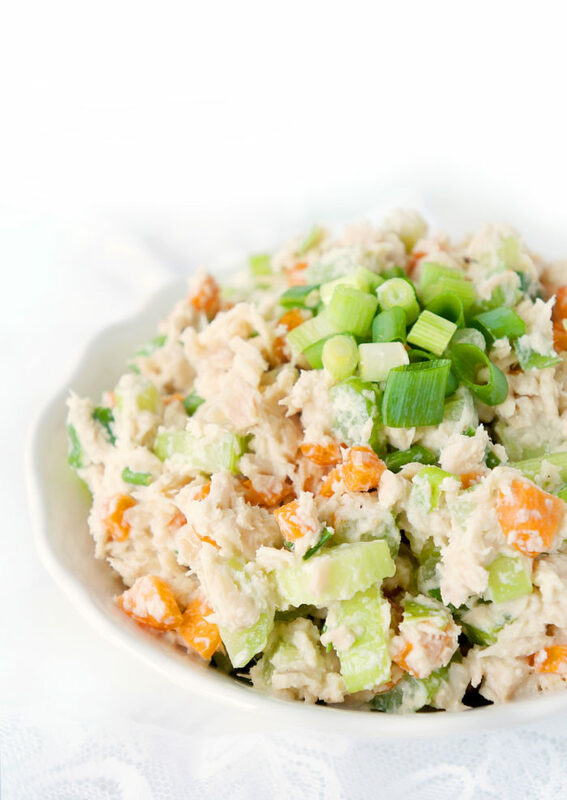 Now I felt like a little crunch was necessary to pair along with the creaminess, so after mixing some of the sauce in with the tuna, I also added in some diced celery, carrots and green onion. And you know what? With all of this creamy crunchy excitement happening, I swear you don’t even miss the mayo. Since the sauce also consists of garlic, I actually found it had even more flavour than your typical mayo. Make sure you soak the cashews in water for a couple of hours. I usually just measure out the cashews when I get up in the morning and let them sit in some water for the day so they’re good to go for when I’m ready to make the sauce. I recommend using a high power blender or magic bullet to get the smoothest and creamiest sauce. I’ve tried using a food processor but I find it doesn’t make it super smooth and sometimes small chunks of cashews still remain, which is not the consistency we’re going for. You can also make double the amount of cream sauce and use it as a replacement for sauce in all of your favourite creamy-based dishes. The options for this sauce are endless! 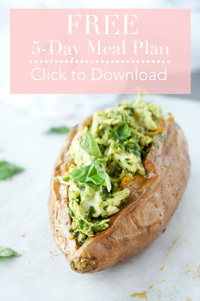 It should keep in the fridge for up to two weeks so it’s perfect for meal prep or if you’d like to incorporate it into other recipes. 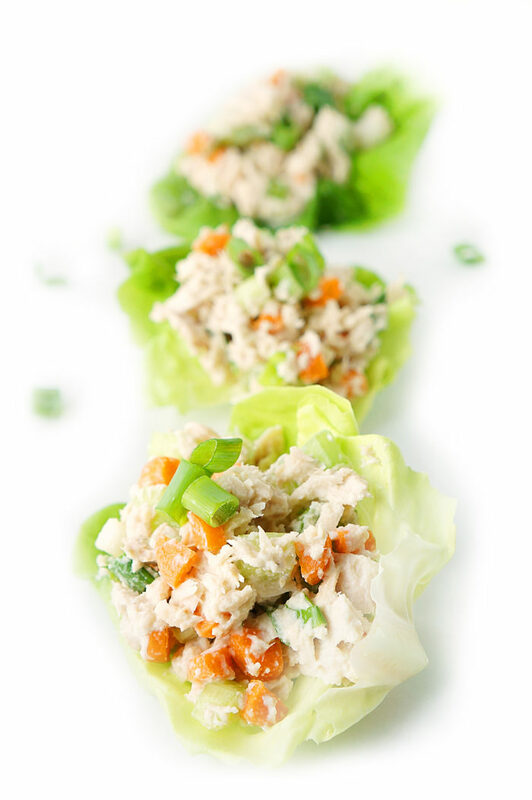 For this recipe, I used Boston lettuce and found that it was the perfect size and shape to shovel the delicious tuna mixture into my mouth, but you could also use Bibb or romaine lettuce. At the end of the day, no matter which lettuce you choose, it makes the perfect light, refreshing and lower carb option for lunch! In a small bowl, measure out cashews and allow them to soak in water for at least two hours. 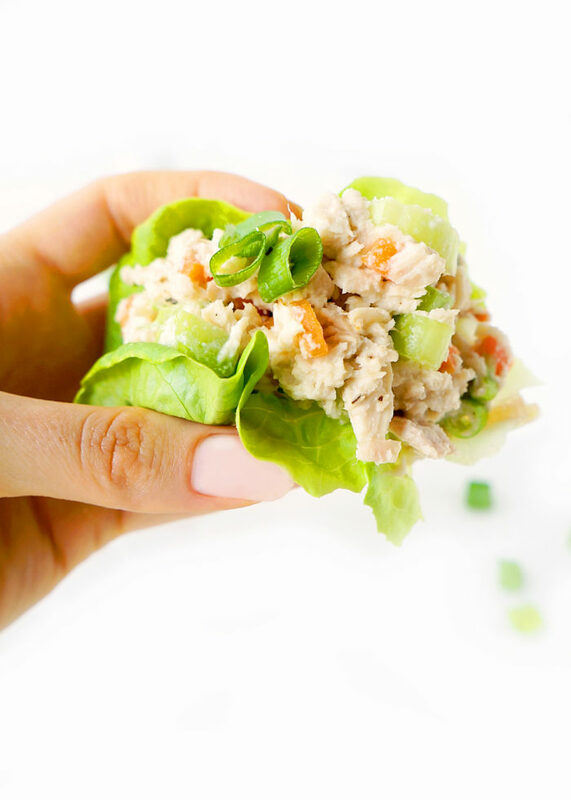 In a bowl or container, break up tuna with a fork. Add in diced celery, carrots, and green onion. In a blender or magic bullet, blend all of the ingredients for the cream sauce until smooth. Add the cream sauce to the tuna mixture and mix until well combined. Evenly distribute mixture into Bibb, Boston or romaine lettuce leaves. Serve immediately.